It’s hotter than a billy goat in a pepper patch! In the Southern United States, it gets Hot…Really hot! Many times we reach 100+ degrees with ease in July and August. Rain is always a blessing as it cools things off even if only temporarily, otherwise it’s just stinking hot! I hear a question about how to care for goats when it’s so hot the trees are arguing over who gets the dog. Well this is what we do. 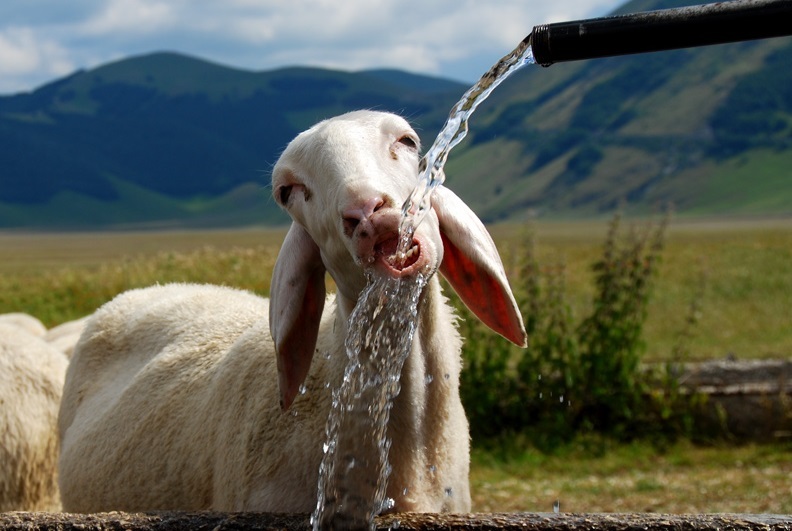 First and foremost, make sure your goats have plenty of fresh water available to them. Goats have a reputation for being able to go without water for a few days and have remarkable ways of conserving water in their bodies. From their blood vessels in their ears to panting and even sweating (hopefully it is never that bad). 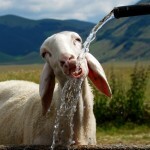 However as goat tenders there is no reason they shouldn’t have fresh water every day, especially when it’s hot. It only takes a few minutes each day to fill buckets. Shelter would be the next thing, plenty of shade, whether it’s from trees or manmade shelter, they need a place to get out of the sun. Our tend to find a “sandy” spot under a shade tree and hang out. Another thing to do in shade is provide fans. We provide fans in our barn to keep the air flowing, it aids in providing a shaded place for them to hang out and a gentle breeze as well. If you notice in the heat, they will go out in the morning and come in after a few hours and lounge around while it’s hot and then go out again later as it cools. And finally we trim our goats. Yep, we give them haircuts. For most people who show their goats, they trim them regularly anyway. We trim ours in the summer between show seasons to help keep them cool. There are two drawbacks that you need to watch out for when trimming. The first it to remember goats can get sunburn and not to trim too short because of this and second as they are trimmed it’s easier for biting flies and other flying pest to get to their skin. So it’s a good idea to keep them coated with fly spray as well. That’s how we do it. How do you manage your goats in the summer heat? Let us know in the comments and thanks for reading! Get Updates from our Baaa-log!